Balcony fall Melbourne: Woman lucky to survive three-story fall. Woman lucky to survive fall after balcony collapsed on newly-purchased Melbourne unit. 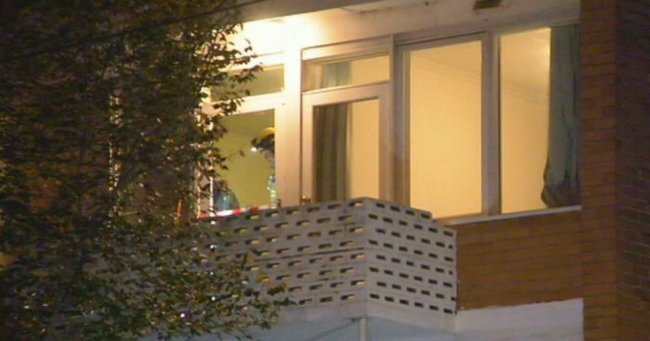 Tree branches have broken the fall of a woman from a third storey apartment, after a balcony collapsed in Melbourne’s inner-south east. The woman, in her late 20s, was hosting a housewarming party at the unit she had just bought on Toorak Road in South Yarra, when the balcony gave way just after 11:00pm on Saturday. “She fell approximately three floors and was covered with some of the brick work that made the balustrade for the balcony,” Metropolitan Fire Brigade Acting Commander Ross Smith said. Commander Smith said a council building surveyor will assess the site tomorrow. “Balustrades of balconies shouldn’t give way the way this one did — it was due to the deterioration of the cement,” he said. The woman was taken to the Alfred Hospital with a broken ankle and suspected spinal injuries. Victoria Police Inspector Jenny Forsyth said the woman was the only person on the balcony at the time. “We believe there was only one person on the balcony at the time, there were other people in the flat and they heard the collapse and of course the screaming of the lady as she fell,” she said.